As the next entry in ReGen Magazine‘s The 6ix List, Gabe Wilkinson delivers unto us a singularly unusual band. But who better to explain the Finnish Anti-Gnome musical mania that is TONTTU than the band’s leader, the TonttuFinderGeneral Hanz-Baal? 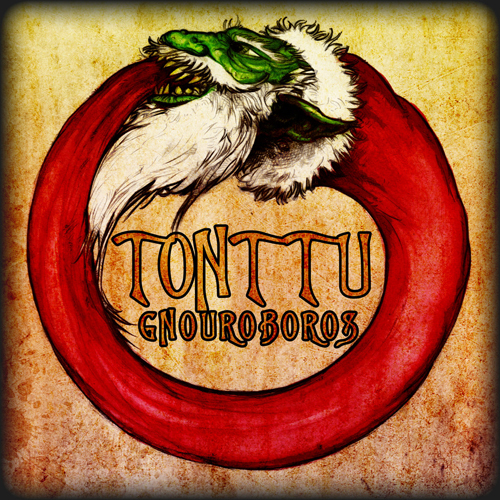 Hanz-Baal: TONTTU is the musical division of The Anti-Gnome Army playing exclusively Anti-Gnome/martial/industrial/neo-folk/metal. 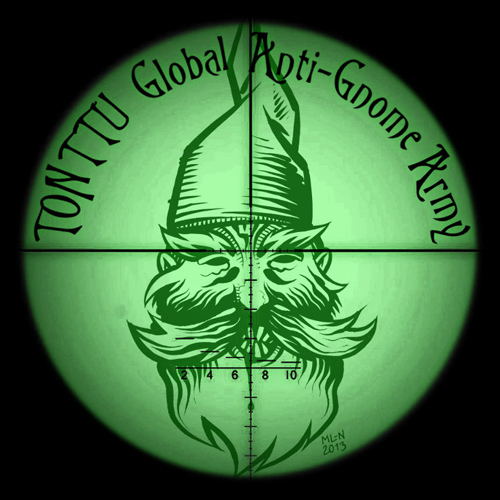 Our roots are in Finland and we have been raising awareness about gnomes and their evil schemes since 1997… some would say earlier, but would that make the difference? I think not, so let us leave it to that. After gnomes kidnapped our beloved founding member Petja, we reached this current form in 2013 when we activated again. Our valiant task is to make the only kind of music that is worth listening: The music that repels gnomes and makes those sympathizing with them to seek for shelter and run for cover. So that we can burn those shelters as soon as the opportunity arises! I have said numerous times that our highly competitive musical genre really describes what we are up to. Hanz-Baal: Naturally this is the most tricky question, as everyone in their right mind would say TONTTU. But being selfless and somewhat humble, I may take this question as a challenge and think outside of the box (gnomes manufacture boxes just to make our lives a bit harder… I bet you did not know that!). Laibach – Everyone in TONTTU seems to love ’em. They are the masters of discombobulation and we-just-do-what-the-gnome-we-like-attitude, and that alone with their long and glorious career is enough to give them this coveted spot in my list. And two of the best gigs I have ever seen. King Diamond – I approach this question from the standpoint of bands that have had influence on TONTTU and on our exquisite musical endeavours. With King, I mean his whole career from Mercyful Fate to this day. I just love his theatrical approach on things; storytelling is an art form and King sure nails that. Needless to say, many of his stories are naturally about people being possessed and/or infected by gnomes and the dangers of the horrendous Red Magic and thus he is doing the noble deed by warning people of the most gravest of issues! Miel Noir – This band, slightly newer compared to their rivals in this category, we have had the honor of collaborating with various times. Their relentless there-are-no-limits-method is something I really look up to. And they are very vocal about bees, only gnomes can hate bees and thus they are trying to get rid of them… So in a way Miel is doing the most Anti-Gnome of deeds about raising awareness about this issue. Hanz-Baal: I must leave it to these, but as you all know, this is not a an easy task to choose a few goodies after lifetime of listening to music. Naturally, there are plethora of amazing artists and too many gnomes trying to mess with our minds with insignificant things. I could easily say :Wumpscut:, Covenant, The Electric Hellfire Club, Harmony Garden, The Sisters of Mercy, or any of the great old bands like Led Zeppelin. On the other hand, I could mention Choronzon or Veil of Thorns alongside P. Emerson Williams’ solo albums for the same reason I usually do: burning the boxes. Hanz-Baal: There are good albums and then there are albums that really make you listen to them with the most keen mind as they make you think about something other than eradicating gnomes. Wait, isn’t that alarming?! Is it a trap!? The oldest trick in that damn book that should have been burned ages ago? Hmm, let us say that even the most enthusiastic gnome hater needs time to chill once in a while… even though I’m still a bit suspicious after realizing the dangers of good music. NON – God & Beast (1997). It is the most compelling album that has influenced me greatly and was one of the cornerstones when thinking of what TONTTU has become; uneasy listening for life and all that. This album needs to be listened as Spinal Tap says: 11/10! Lard – The Last Tempation of Reid (1990). This is one of the greatest electronic albums there is. There is something thoroughly Anti-Gnomen when combining MINISTRY (my longtime favorite act, though not that much lately) with Jello Biafra. By blasting this album with the highest possible volume, one can easily get rid of gnomes lurking outside of our homes. You all must give it a try and save your neighbors while at it! They may seem a bit displeased for a second, but they will thank you later on when you tell them about your heroic deed of cleansing the gnomish presence out of their backyards; the high life of the Anti-Gnome Warrior! Leæther Strip – Science for the Satanic Citizen (1990). This was one of the albums way back in the ’90s. Its awesome atmosphere still reigns supreme in my books. And the theme of gnome technology always catches my attention. Hanz-Baal: The same epilogue as in the earlier question; depending on when I am asked, the results may vary. But naturally, there are classics that stay on the list and if I ever find any notions of righteous hatred against gnomes, I am so in that IN that it must be bolded, underlined, and cursived! 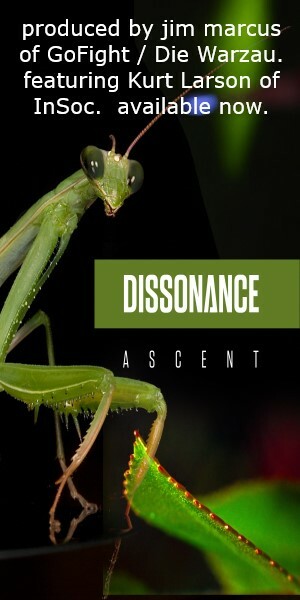 In here could easily be Psyclon Nine’s albums, some FLA, or 242 stuff. You know, also Blood Axis could fit in. What a gnome! There could be numerous Judas Priest or Jethro Tull albums too! Hanz-Baal: I am bit of a grasshopper when it comes to things that inspire and lure me in. There are certain themes, though, that stand the test of time. I am very curious about people who just cannot fit the norms and are obviously possessed by gnomes or, at minimum, are doing their bidding. I cannot get enough of crime documentaries, as it really intrigues me what makes those ‘people’ tick. Lately, (well, this seems to be a theme I find myself diving in continuously) I have been reading about esoterics and occultism and more so about people who are involved in those things. Same reason really… that draws me back into the first theme I mentioned. Dabbling with Red Magic seems to broaden some minds, but not so often with any kind of positive outcome. But hey, it’s not my place to judge unless they are helping the gnomes’ agenda. But yes, I try to find time to read as often as I can spare some time from The Hunt. I know this sounds passé and all that, but I could count social media as one of my interests and testing grounds. I have met so many great people through the wunderbar world of the internet that it baffles me, but in the best way possible. I can also reveal, that TONTTU works as the most superior filter when it comes to meeting people with similar interests and dodgy and wonky humor! I’m not suggesting that our valiant cause is about fun, but we must find positive things in all this gnomishness that is devouring us alive. In a way, social media is one more way to study human interaction and this is the most intriguing subject there is! Well, TONTTU would not be where it is now (where the gnome that might be) without these people (you know who you are!) and neither would there be any other projects to see the light of the day because of doing the thing I do with TONTTU (for example DØDSRIGE). Because of social media, my English skills and my patience have benefited greatly; huzzah for modern times! Maybe I should also mention news, for even though it is mostly appalling and make us want to vomit all kinds of unspecified things, I believe it is for our own good to know what is going on. And shame on those reading gnomes’ redwashed news, you know… the truth is not about what you want to believe in, but the one where gnomes are found guilty! Truth is out there up for grabs if you do not let gnomes lead you astray! Last but not least, but would you believe that I may have some kind of interest in gnomes? BOOM! Got your attention now, didn’t I? Hanz-Baal: I think this is the most splendid time to call this quits. TonttuFinderGeneral Hanz-Baal saying over and out and thanking you while walking away and whistling some glorious Anti-Gnome tunes.